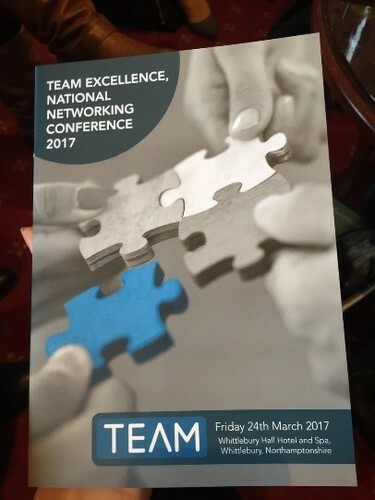 On Friday 24th March, TEAM held its 5th National Networking Conference at Whittlebury Hall in Towcester, Northamptonshire. Coincidentally it was also Red Nose Day and therefore an opportunity to raise some money for a fantastic cause. With over 33 different sessions to choose from, over 300 independent recruiters and Service Providers, attended the day full of networking opportunities, training, compliance, legislation & legal updates, all provided by TEAM’s very own Members. Choosing speakers and topics to suit such a diverse audience isn’t easy, however each session at the annual conference was very well attended with some sessions attracting over 100 Members and in some cases, it was standing room only. Some of the 100+ TEAM Service Providers were exhibiting during the day and on hand to offer helpful advice and knowledge, along with sponsoring various elements, including raffle prizes to raise money for Comic Relief. The keynote speaker, Jas Hawker, head of teambuilding at Mission Excellence, closed the day with a fantastic presentation on the importance of “teamwork” from a Red Arrow pilots point of view! Finally, the Members shared success stories, celebrated the amount of business shared and built or developed relationships with their fellow recruiters whilst enjoying a fabulous gala dinner and entertainment. Planning is now underway for next year’s event!